Convertibles: Why not more popular? Sorry, but the chassis is NOT more rigid than the coupe on a C7. 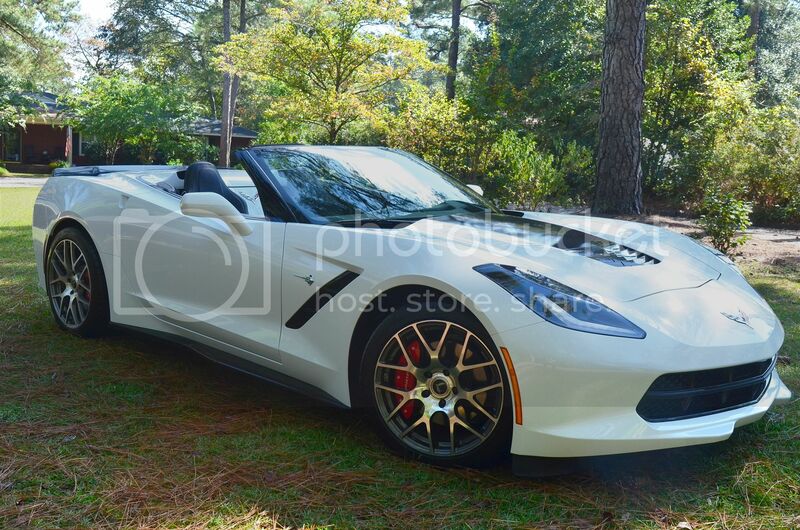 The convertible C7 chassis is stiffer than a C6 coupe. They are not for everyone, just as a Corvette is not for everyone. 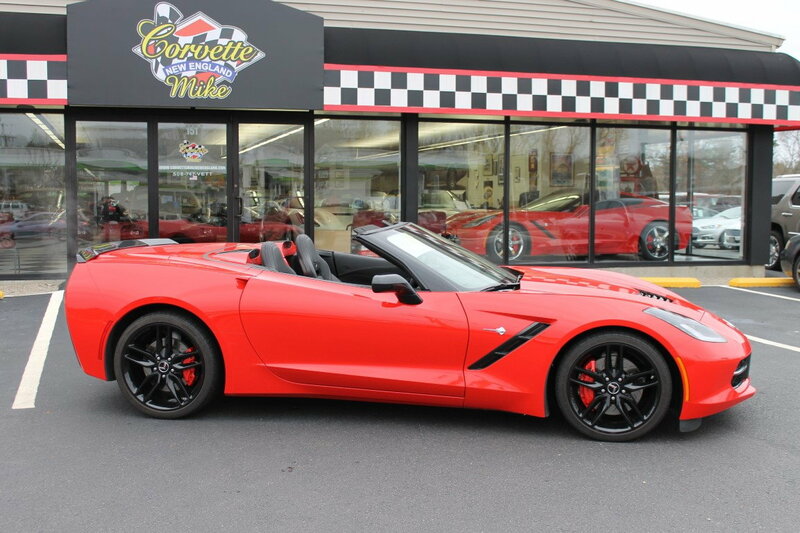 You stand out in a Corvette, and even more so in the convertible. Then, there's the added bonus of the targa top on the coupe, which makes it close enough for anyone who was on the fence. Ever had a convertible? They are noisier, have less space, and are less secure... Why deal with all that when you can have the best of both worlds with a coupe w/removeable top... and for less $$? Actually, the convertible C7, with the top up, is quieter than the coupe with the roof on. And with the top down, it has less buffeting than the coupe with the roof off. Sorry. The real reason is that convertibles haven't sold well in any car for decades. Back in the '60s, you could get convertibles in almost every car line, from Lincoln and Cadillac down to the Chevy II. But as traffic got worse, and air-conditioning became commonplace, convertible sales dropped off. Most people are more interested in the comfort of A/C than the wind in your hair feeling of a convertible. To me, the 'vert is the best of both worlds. A quiet, closed, water-tight ride when I need it, and all the pleasure of top down driving when I want it. Oh, and the coupe with top off i nothing like the 'vert with the top down. I have a buddy with 3 Corvette convertibles. I'm not at all sure he is going to appreciate your girlfriend's classy comments. I owned an 05 vert and a 10 GS coupe. I currently have a 15 3LT Z51 with MSRC. The Z51 and MSRC are probably overkill for a convertible car that won't see a road track. She might hit a dragstrip. I pulled the top a lot on the GS, but if I was just going a short drive then I would leave it on to save the hassle. The convertible top is always down on my 15. The ease of pushing a button is so convenient. There is no denying that a coupe looks great and better than a vert with the top up, but a vert with the top down is gorgeous to me . I am happy to have the option to get exactly what I want on my car. I prefer the unpopular convertible! HOWEVER, once you drop the top, the convertible takes on an elegant and classy appearance the coupe just can't touch. So, I guess it comes down to how often that top is going to be down. It's called different strokes for different folks, and no one's opinion is incorrect. 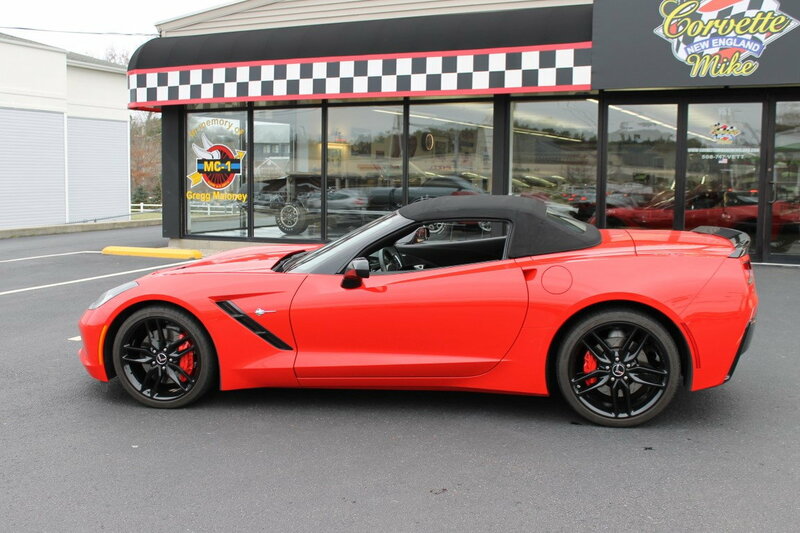 I have owned 11 Vettes, all verts except for my C6 Z06 which i hated because it was a coupe. I live in L.A. and if it is not raining (lol, rain in LA?) the top is down. Summertime, 95-105 degrees out, my top is down and the AC is off. I love the sun and heat without humidity. Furthermore, I think the C7 coupe is not a good looking car, (I hate the looks of a fastback car) but the C7 vert is great looking top up or down. For me, a sports car must have 2 doors, 2 seats, 3 pedals, and a top that goes down. The key words in that statement are "for me". 100% with all of that! And 100% with all of that! My 14 C7 vert is my first Vette, but I've driven convertible sports cars for 16+ years now. Last edited by F4 Phantom; 02-22-2016 at 06:15 PM. It's really simple...you are either a coupe guy/gal or a convertible guy/gal. Often this is determined by what your first car was though not always. I've been a convertible guy for over fifty years...nothing like a top down drive on a warm summer evening with your best girl at your side, your favorite tunes on the radio and the exhaust's crackle and burble. Just saying. I agree with most of your premise. Except for noise. The verts are quieter! At least in Corvettes. Taking the top the coupe is nowhere near the top down vert experience. Plus top down vert is much less wind buffeting at 45 mph plus. I'm having a tough time deciding between a coupe and vert! Like the lines on coupe, but love the vert for everything else. Our 60th Anniv 427 Vert was very quiet. I found that I just wasn't a vert guy. Kept the top up more often than not. The "Warden" didn't like the top down during the hotter, sunnier time of the day. Was enjoyable to her when the sun went down to go for a cruise. Last edited by Always Red Dave; 02-22-2016 at 07:07 PM. I honestly think the C7 convertible looks better than the coupe with the top up or down!!!!!!!!!!!!!!! Well, you only think that because it is so very true. I like to use my car for more than just driving around town and can't run track days in a vert without a rollbar. Targa top is just as good for me. As stated by the designer, the windshield frame is the role bar. There is no structural application in the coupes roof. Once again as stated by Tage the windshield frame is a substantial part of the frame assembly. Check out the Leno Garage for this conformation. Last edited by Kev4; 02-22-2016 at 07:03 PM. I have to admit I am a convertible fan and when "shopping" for a C7 I tend to gravitate in that direction. The Coupe is good looking but I don't care for the targa look. I never removed the top on my C4 coupe and thought the car looked much better with the top in place. So in that regard it is all a matter of taste. None of these cars is what I would call quiet either. Not mentioned previously is the option to track the car if it is a convertible. From what I have been told it would need a roll bar installed for most track days whereas a coupe does not. No idea how many people think about this when they buy a Vette but it is something I found out about after I got my GS. I have owned an '06 and '08 coupe, then a '10 GS vert. When it came time to order my C7 I knew that it would have to be another vert. If you have never driven in a vert on a warm summer night, you are in for a treat! I personally like the vert lines, either top up, or, down! 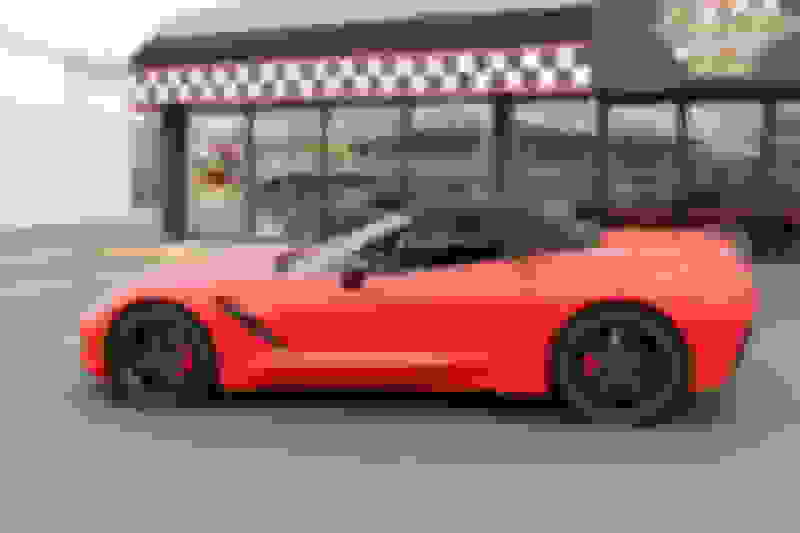 I love convertibles so much that if they stopped making a new Corvette convertible I would buy a older model or generation Corvette rather than drive a coupe! Simple for me. I had a convertible a few years ago and I had the top down about 10 days a year. I also feel I'm on display in a vert and that's not me. Last edited by C7-Beast; 02-22-2016 at 07:12 PM. Explain the advantages with the targa top, try taking your top off and on with the back full of stuff, not to mention your view through the rear view mirror. Why would my rear view mirror view change? Who keeps crap in the back of their Vette? If you take two identical cars except one is a convertible and one isn't, the one that isn't has better performance. In the C7 the difference isn't has much but it is there. I think the convertible is about 200 lbs heaver. Quick Reply: Convertibles: Why not more popular?